Australian officials insist a man who just lost citizenship over ISIS ties isn’t stateless. Australian officials insisted Wednesday that a suspected militant had not been left stateless after he was stripped of his Australian citizenship over his alleged links to the Islamic State group. 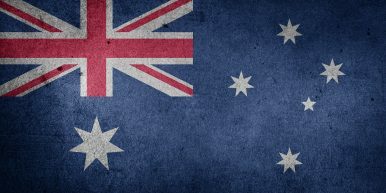 Australia announced this past weekend that Australian-born Neil Prakash had become the 12th dual national to lose his Australian citizenship for extremist links. Australian officials said that 27-year-old Prakash was also a citizen of Fiji, but a newspaper on Wednesday quoted a Fijian government official as rebutting that claim. Home Affairs Minister Peter Dutton said an Australian board of senior officials had determined Prakash was a dual national before he lost his Australian citizenship. Donald Rothwell, an Australian National University expert on international law, said it was up to Fiji to decide who was Fijian. “It cannot be assumed that even though Prakash and his family may have some connections with Fiji, that his Fijian citizenship would be recognized by the Fijian government,” Rothwell said. If Fiji did not accept Prakash as its citizen, Rothwell said Australia would breach its obligations under the Convention on the Reduction of Statelessness if it made him stateless. Dutton said Prakash was free to appeal his loss of citizenship in the Australian courts. Prakash, who has Fijian and Cambodian parents, has been in a Turkish prison since 2016 when he was arrested near the Syrian border for allegedly attempting to cross with false documents. Australia is demanding Turkey extradite Prakash, who faces allegations of inciting a terror plot in his home state of Victoria. However, the extradition will have to wait until the conclusion of Turkey’s criminal proceedings against Prakash. Prakash has previously admitted being a member of the Islamic State group but has denied having anything to do with the extremists in Australia. Immigration Minister David Coleman said the Australian board made no mistake in determining that Prakash had been a dual national eligible to lose his Australian citizenship over his service to a declared terrorist organization. “This is an evil individual who is determined to kill Australians and the citizenship board in reviewing this matter has done its job,” Coleman told reporters. Fiji’s Immigration Department Director Nemani Vuniwaqa told the Fiji Sun newspaper that his department had no record of Prakash ever taking out Fijian citizenship. Vuniwaqa did not immediately respond on Wednesday to The Associated Press’ request for comment. The possibility of rendering Australian citizens stateless was at the center of debate over the proposal to strip alleged terrorists of their citizenship back in 2015. By Rod McGuirk for the Associated Press, with additional reporting by The Diplomat. A controversial proposal would strip would-be terrorists of citizenship. Will that help?